A set of 36 pictures is available on SkyDrive. 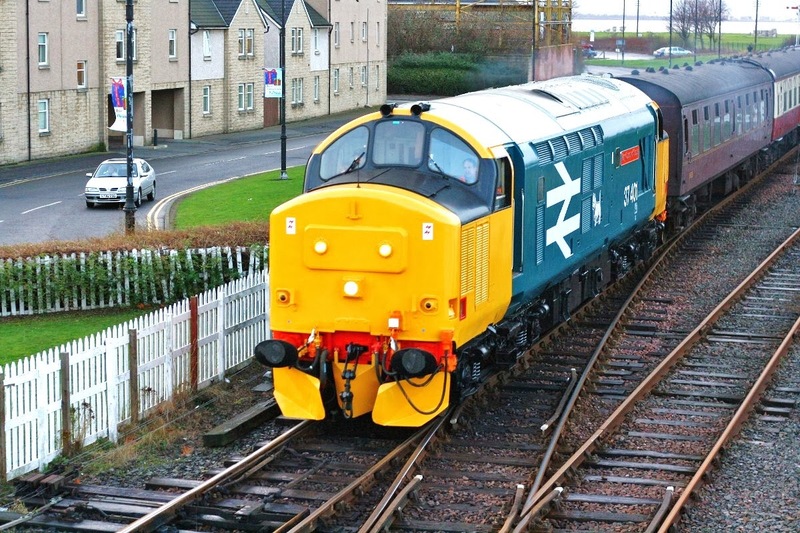 37401 Mary Queen of Scots is now restored, and spent the second day of the gala at the Bo'ness end of the train, providing ETH, This picture reminds me of its display at the Haymarket Rail Festival in August 1985. 37401 returns to Bo'ness in the later light of the afternoon. 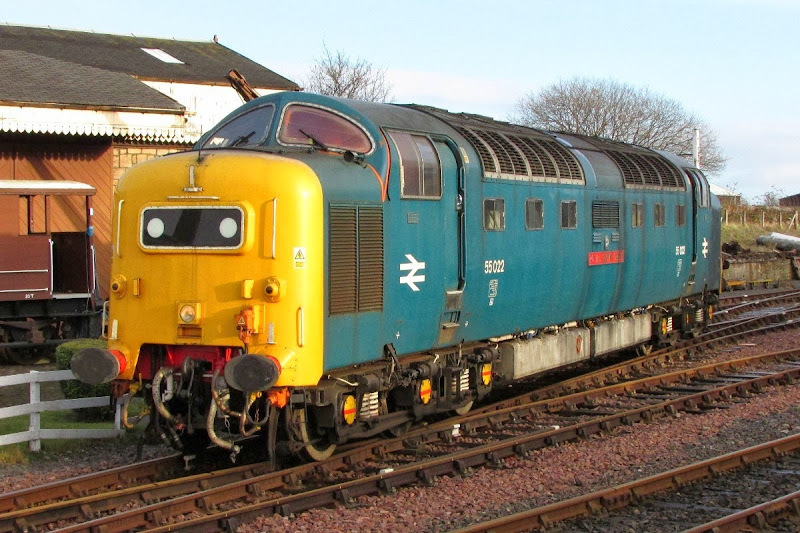 The largest crowd was present when 55022 Royal Scots Grey came out, with the owner at the controls. DC Rail 56312 Jeremiah Dixon about to come onto its train. 37175 WS Sellar (for Colas) & 47739 Robin of Templecombe were both present, but not for suitable photography while I was there. 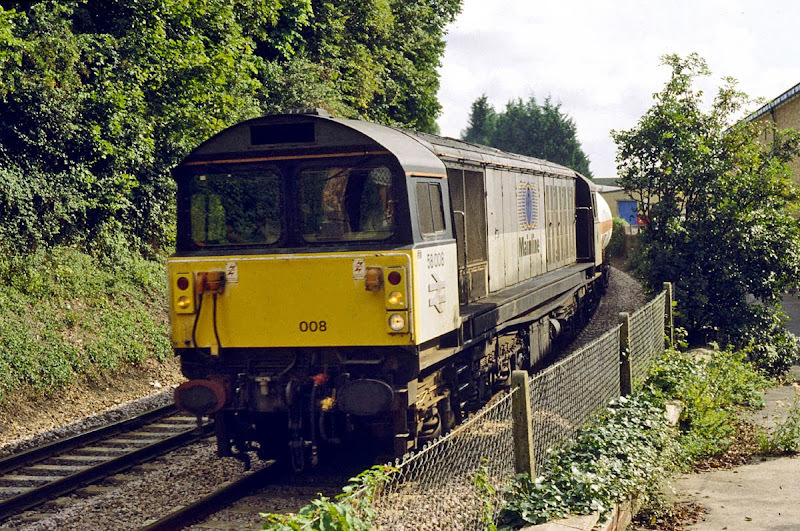 58008 at Milford, Salisbury, 16th September 1995. Image by David Mant. Understood to still be intact at Eastleigh, although 58017 is now being cut up, with ony cab remaining. 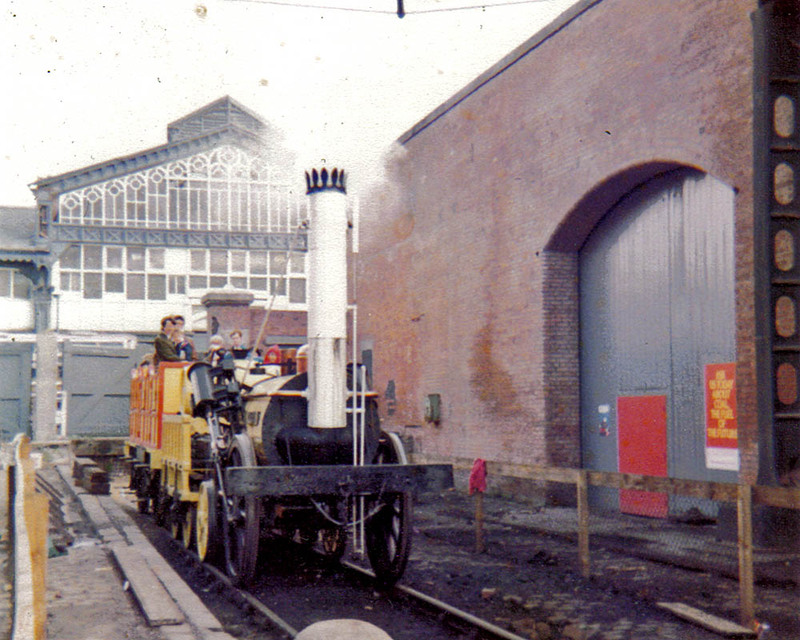 Rocket 150 took place in 1980, marking the 150th anniversary of the Rainhill Trials in 1829 and the Liverpool & Manchester Railway the following year. 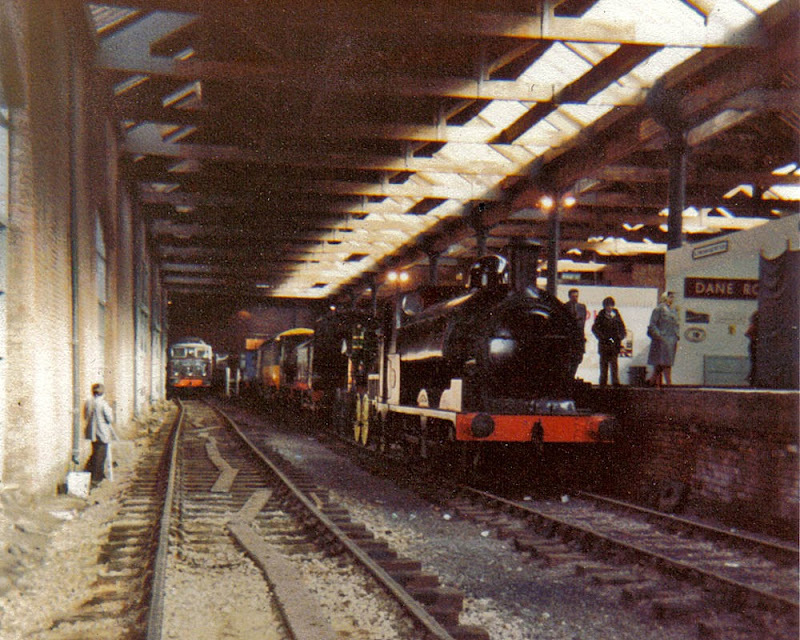 The Great Railway Exposition at Liverpool Road took place from 2nd August to 14th September. 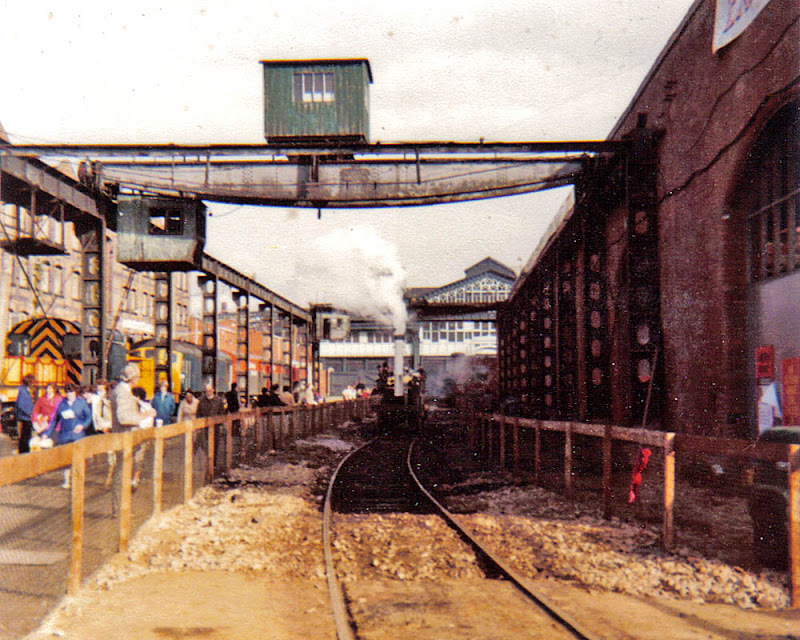 On Wednesday10th September 1980, I made a long student railcard journey to Manchester to see the exhibition, which took place at Liverpool Road station, now the Museum of Science & Industry. 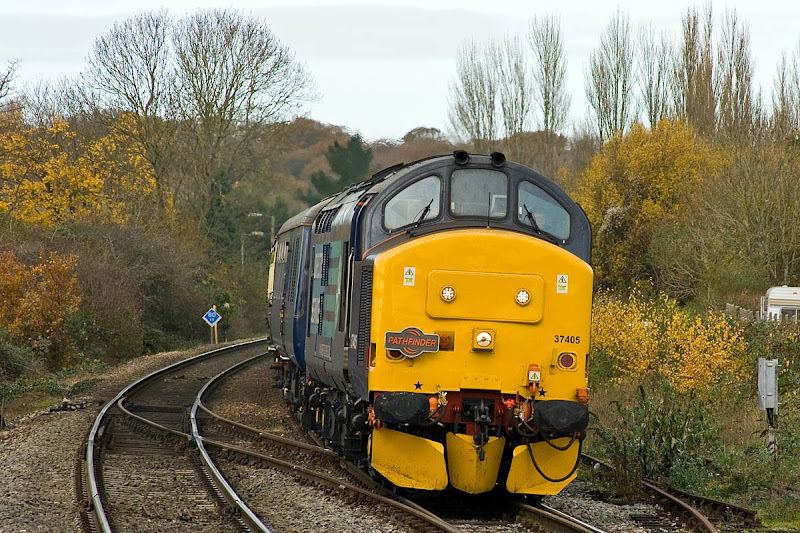 Also on the same day was a visit to Dinting, and my only opportunity to see the Class 76 electrics, of which regrettably no photos, partially because I was within a Class 506 EMU. Notable in my memory was the delay of the last train north that evening from Preston to Edinburgh, but my onward connection was thankfully held at Haymarket. No mobile phones or RealTimeTrains in those days. Coverage of the cavalcade at Rainhill is available on BBC iPlayer, presented by the late Brian Redhead. It is delightful to again hear his style of words, and I noted a Class 40 in the background while he was presenting at 03:36. 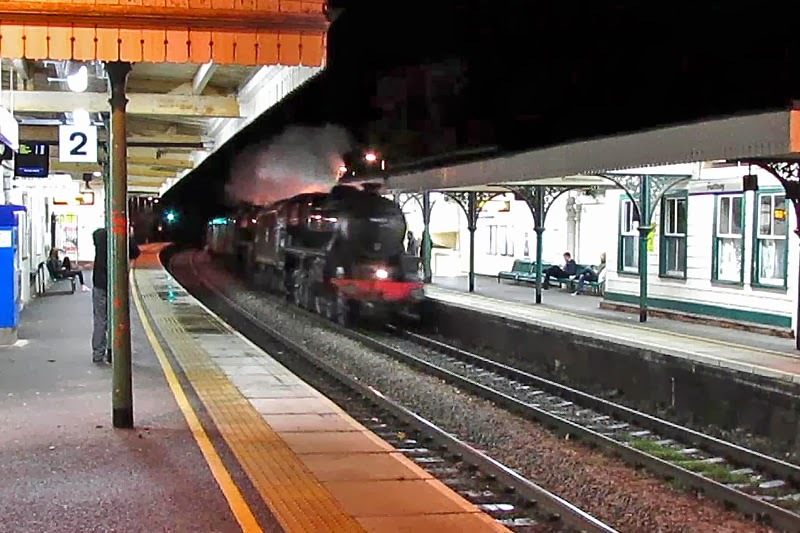 Cheltenham is seen in steam at 27:03. Also in retrospect, it is strange to reflect that this event took place only 12 years after the end of BR Steam. The NRM Rocket replica giving very short rides at Liverpool Road. The poster says "Ask us today about coal, the fuel of the future". The building in the background is the Lower Campfield Market Hall, of 1882 now the air and space hall at the museum. A more general view of the same location with Rocket in motion. 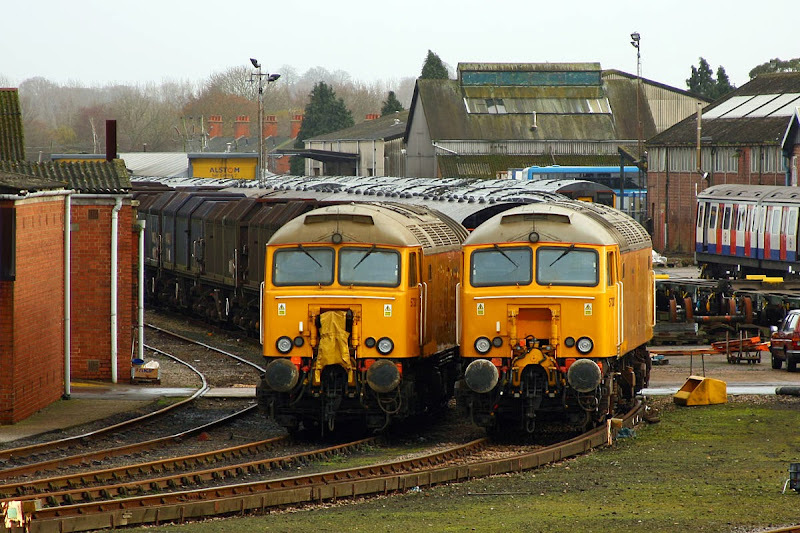 The Class 08 on the left was 08477 which at the time was allocated to Longsight. 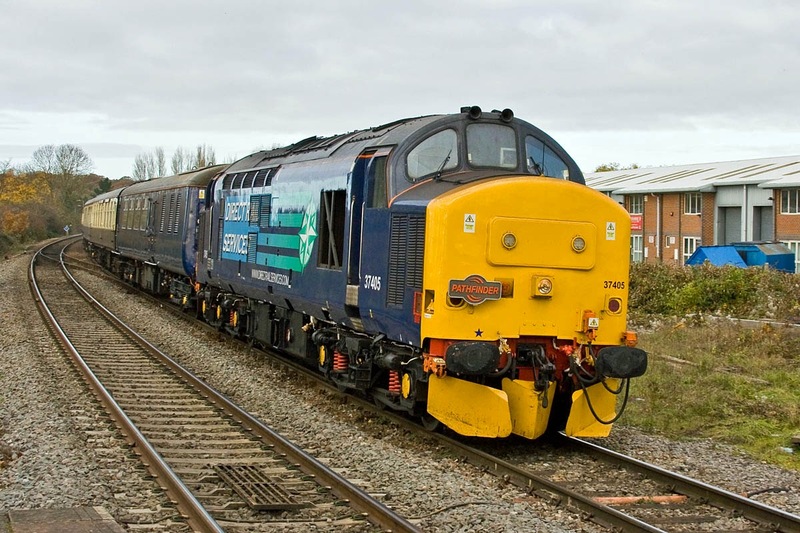 This locomotive was new from Crewe to order E496 in January 1959 as D3592, and was withdrawn in December 1986, after which it was disposed of at Allerton depot in March 1990. 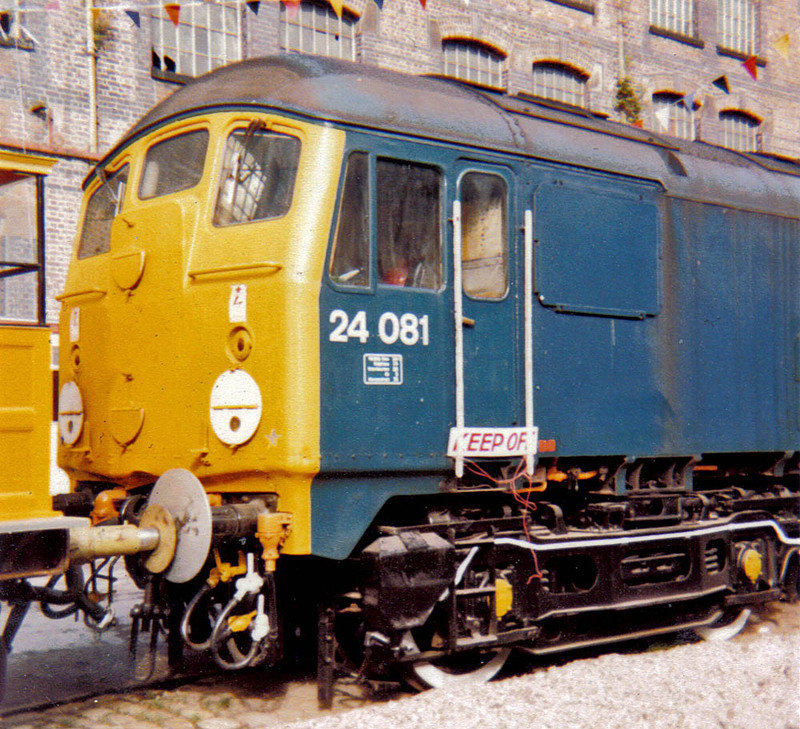 In June 1980 it has been through works attention at BREL Swindon, just prior to the exhibition. 24081 (CD) was the last survivor of the class, by over a year at this time, and was on display at the exhibition soon before it was withdrawn in the following month. 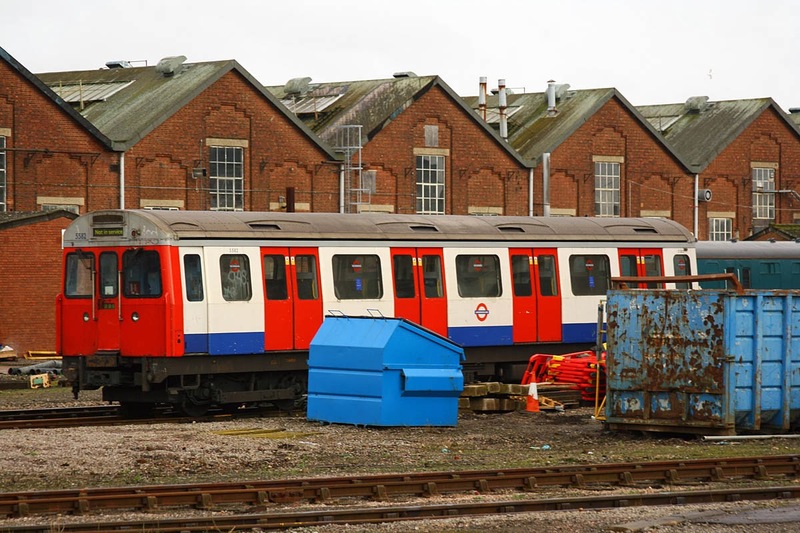 It had already worked its last revenue train in January 1980, and was used for exhibitions through the year. I was pleasantly surprised to find it here that day, there was always an element of surprise in those days, with no internet, and magazines publishing information which was a month to six weeks in the past. 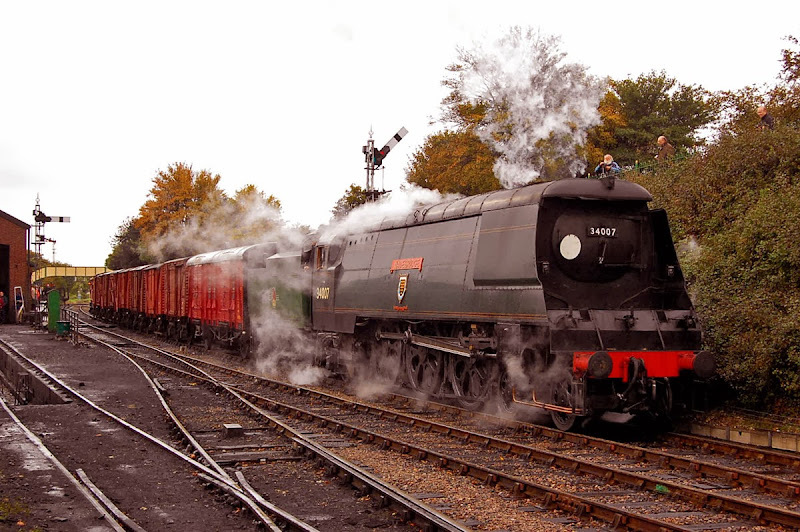 24081 is now working on the Gloucester Warwickshire Railway. Dane Road was a station in southern Manchester, now on Metrolink. 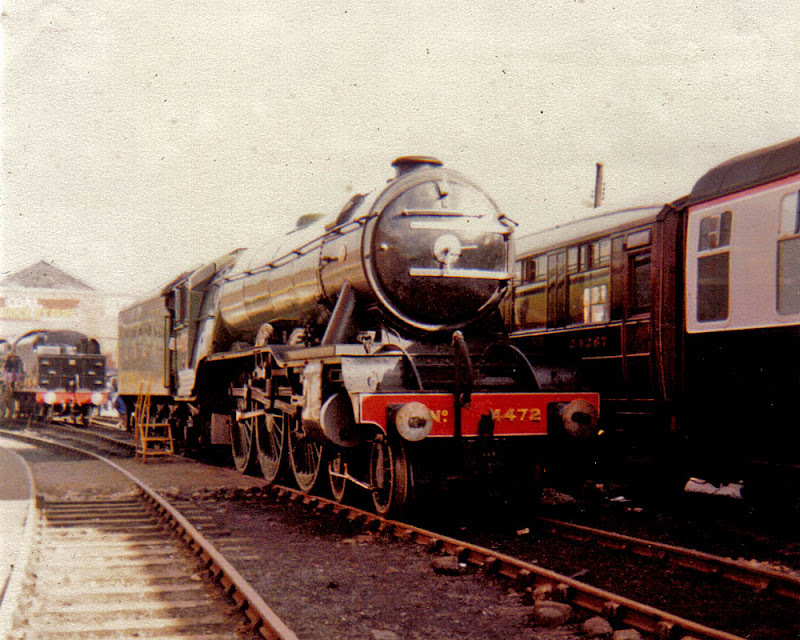 4472 Flying Scotsman, with 6115 Scots Guardsman in the background and Gresley Buffet coach 24287 to the right. 44008 Penyghent is seen rather lonely at the west end of the site. By this time only three members of the class existed, and these were all withdrawn two months later in November 1980. Now working at Peak Rail. This is an embedded Microsoft Office PDF, powered by Office Web Apps. 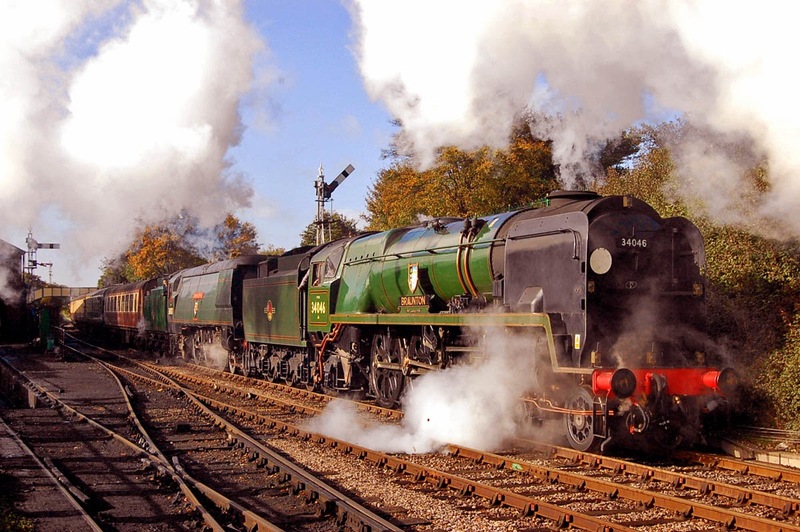 More steam railway coverage on iPlayer. 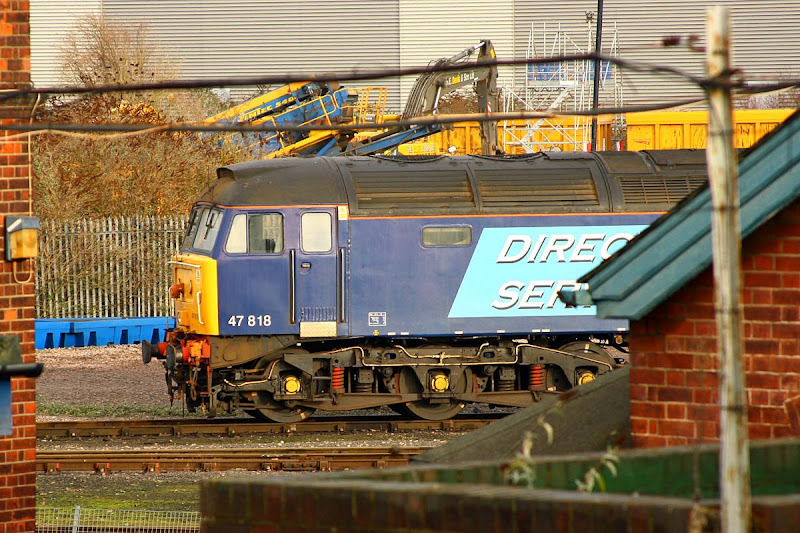 47818 at Eastleigh Works, 14th December, having arrived on Friday. C-stock 5582 for disposal at Eastleigh, 14th December. Withdrawn during November, to Northwood on 28th. 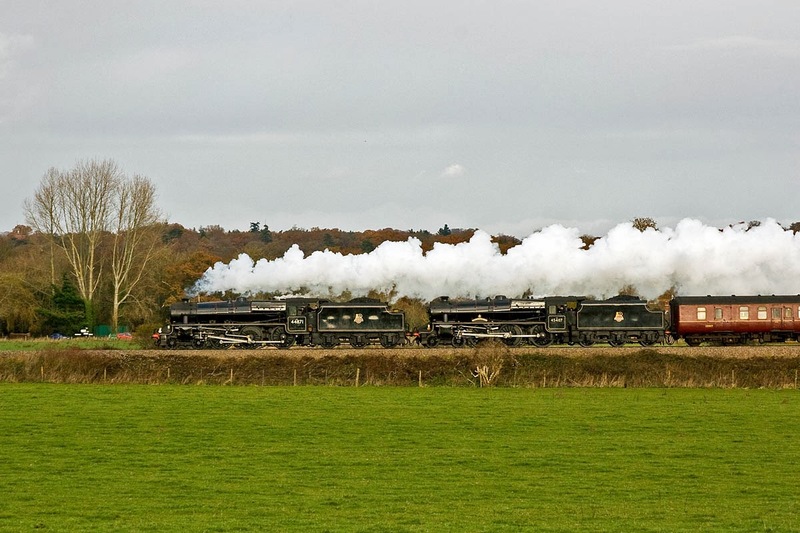 44871 + 45407 with the 'Cathedrals Express' to Chichester, Shawford, 14th December. 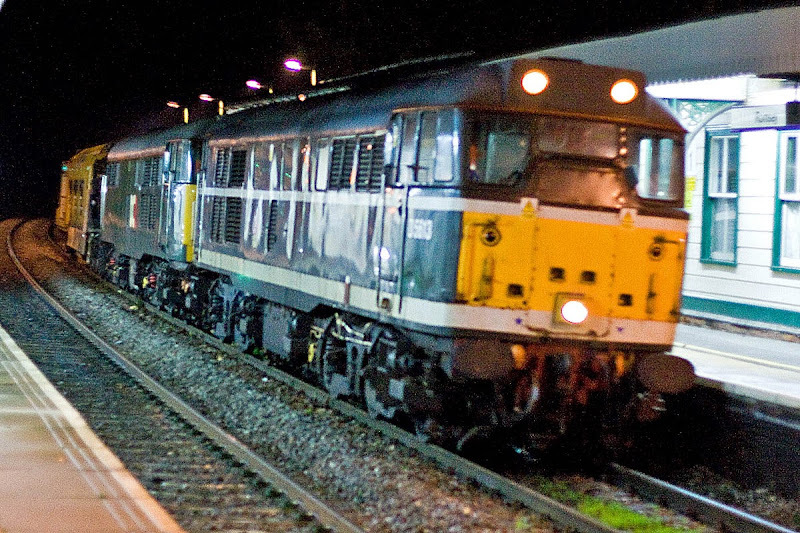 The majority of the train was SRPS Railtours stock. 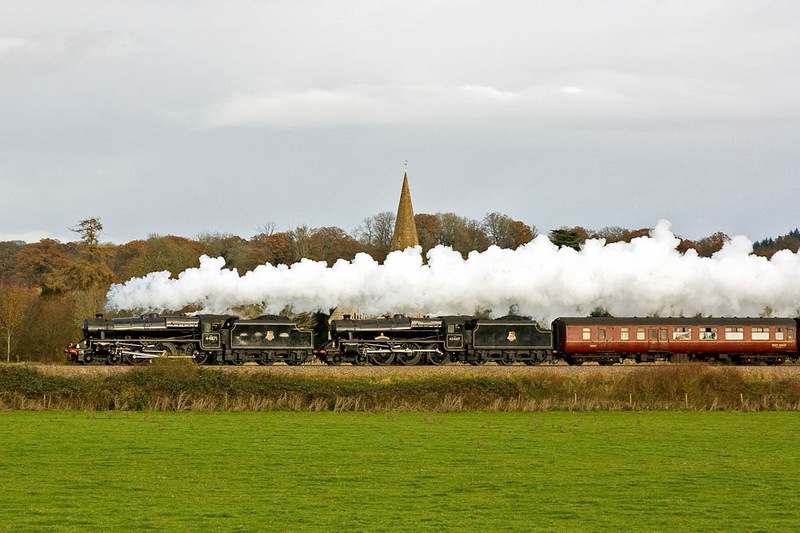 Cathedrals Express formation was Black 5's + support coach 35517 + 4836 + 21241 + 5239 + 4831 + 4856 + 1666 + 3150 + 3115 + 3096. 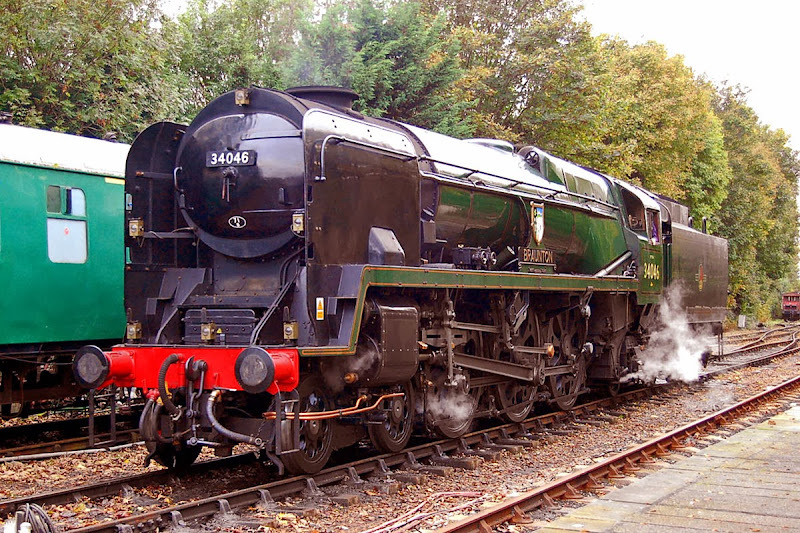 Those linked are to their home at SRPS Railtours, except for 1666 which appears to be from the NYMR. 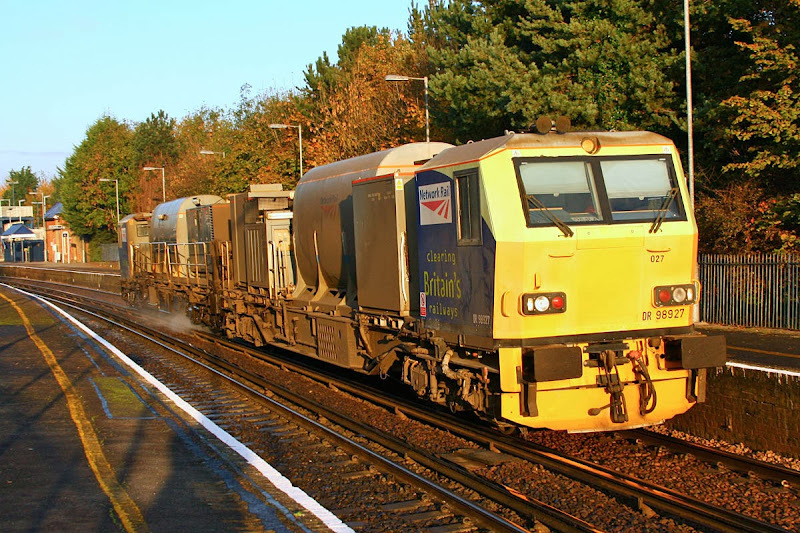 Report on WRGEN today to say that 58002, 58017 and 58037 have been cut-up on site at Eastleigh. Work may be starting on 58008. 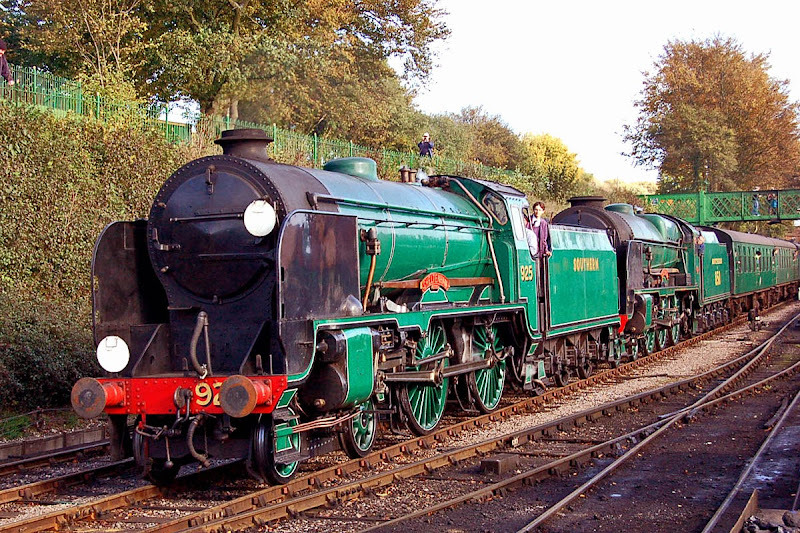 Most recent coverage for these locomotives. 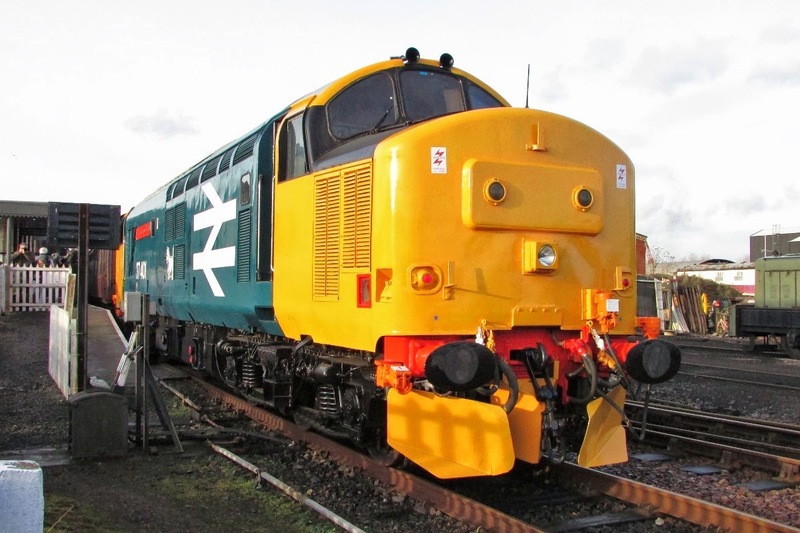 UPDATE 14Dec: Cutting activity has been executed on 58002 and 58037 down to the engine and frames, the other pair are as they were. 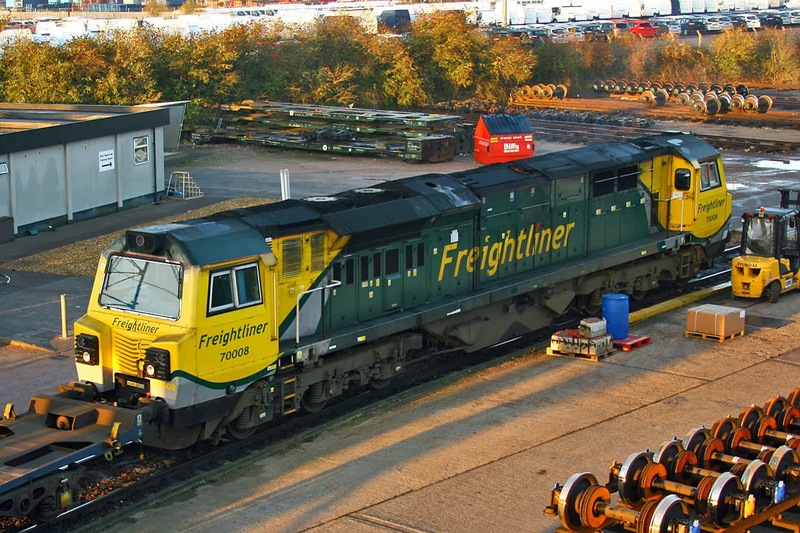 UPDATE 28Dec: 58002 and 58037 are cut up. 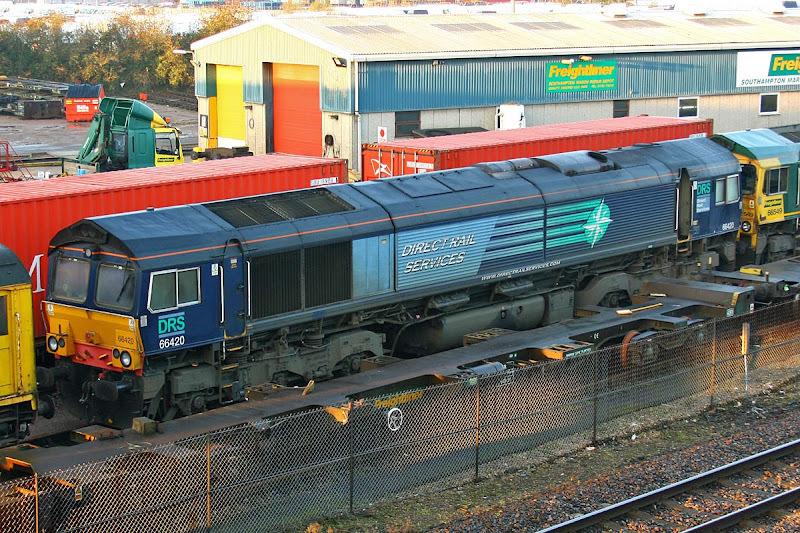 58017 reduced to one cab and frame, 58008 intact. UPDATE 09Jan: 58017 now cut. All 3 scrapped locomotives removed from TOPS. 44871 + 45407 The Lancashire Fusilier pass Lockerley, 7th December. 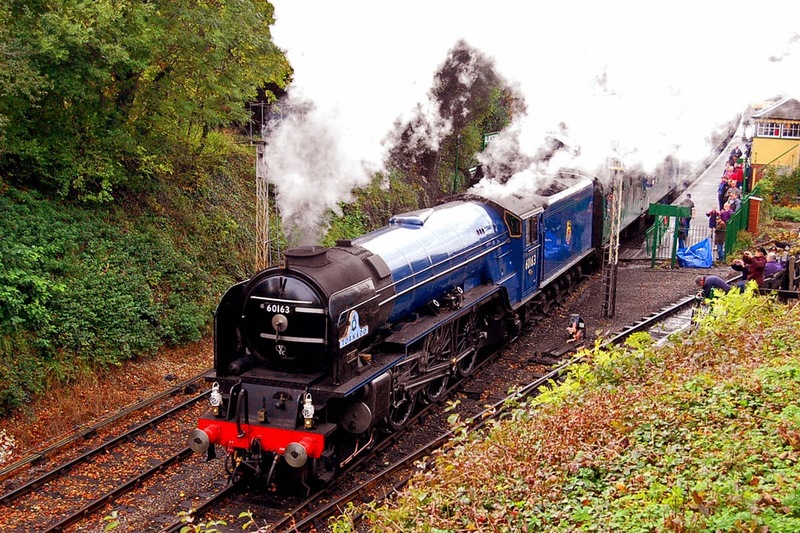 The train was "The Bath Christmas Market" organised by The Railway Touring Co. 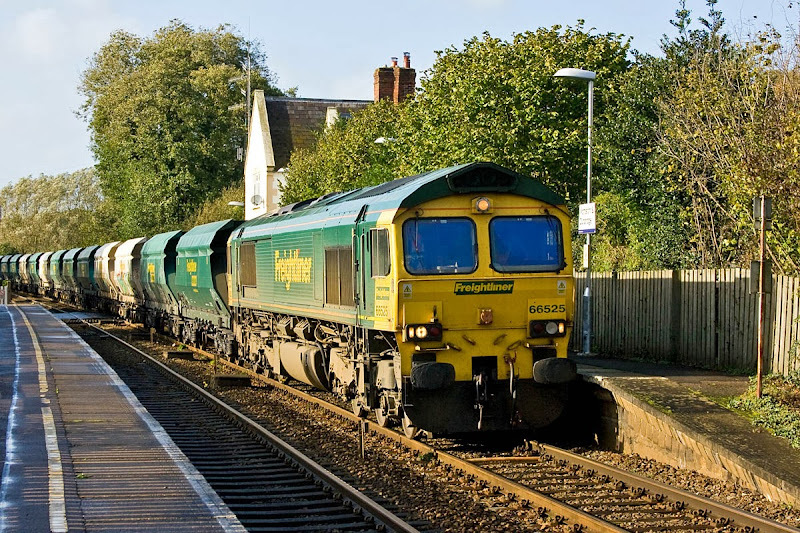 The return train, seen passing Romsey, was then 5 minutes late, but was right time by Hedge End. 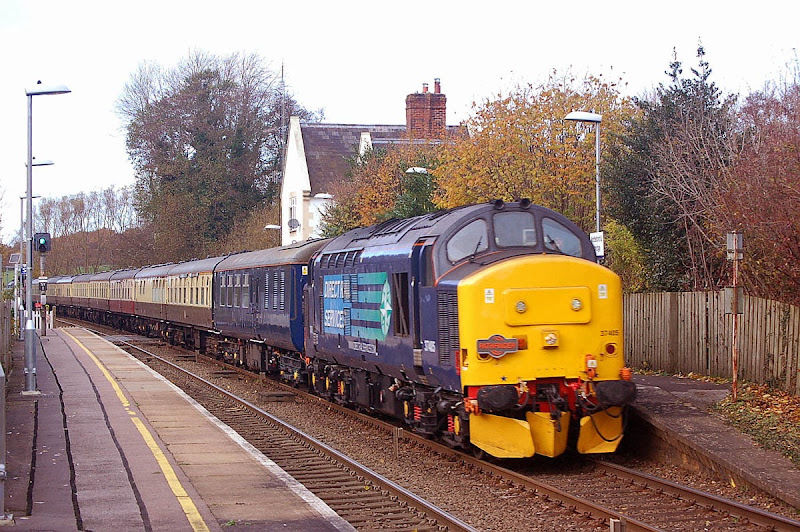 37405 leads "The Festive Festival Express" from Whitchurch (Shropshire) to Portsmouth, at Romsey, 30th November. The train then continued to Eastleigh for servicing. 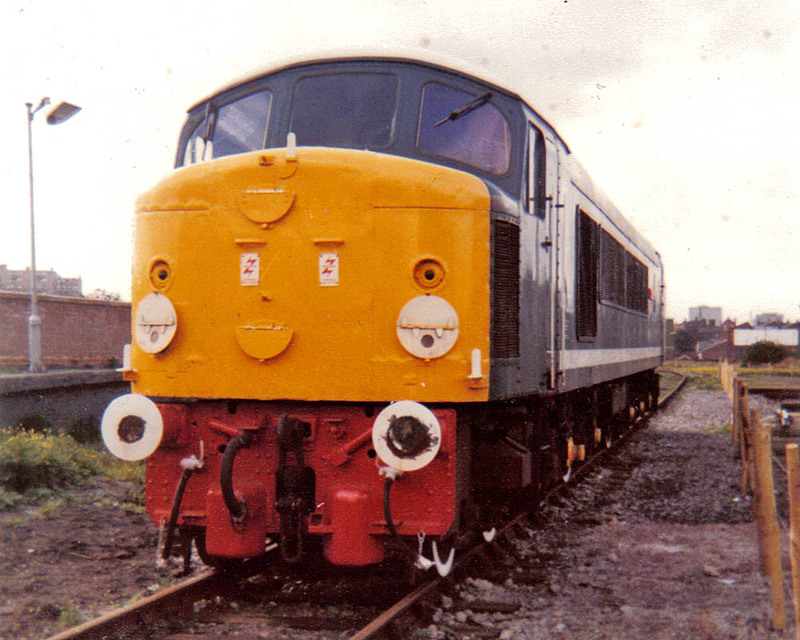 37405 was new as D6982 in June 1965 from Vulcan Foundry, allocated to 86A (Cardiff Canton). 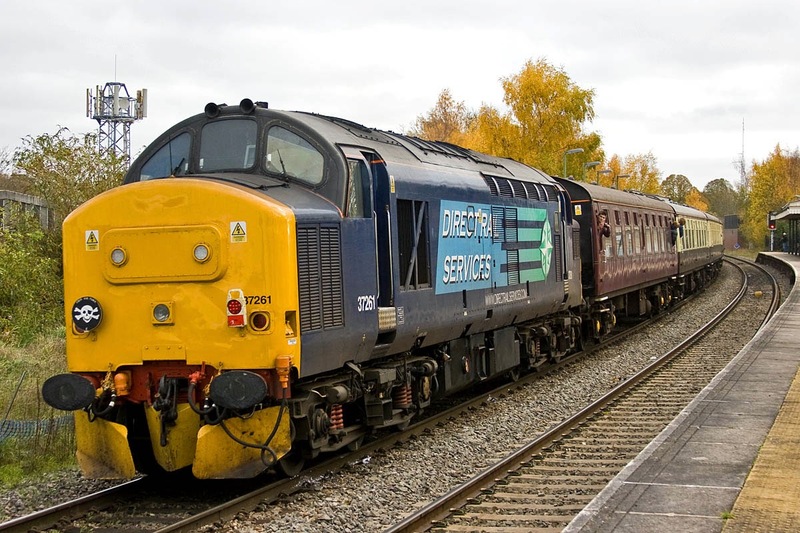 It was converted to 37405 in August 1985. Following EWS service, returned to service for DRS in March 2013. 37261 was on the rear. New as D6961 from Vulcan Foundry in January 1965 and allocated to Sheffield Darnall. EWS stopped using it in 1999, after which it saw usage in France. 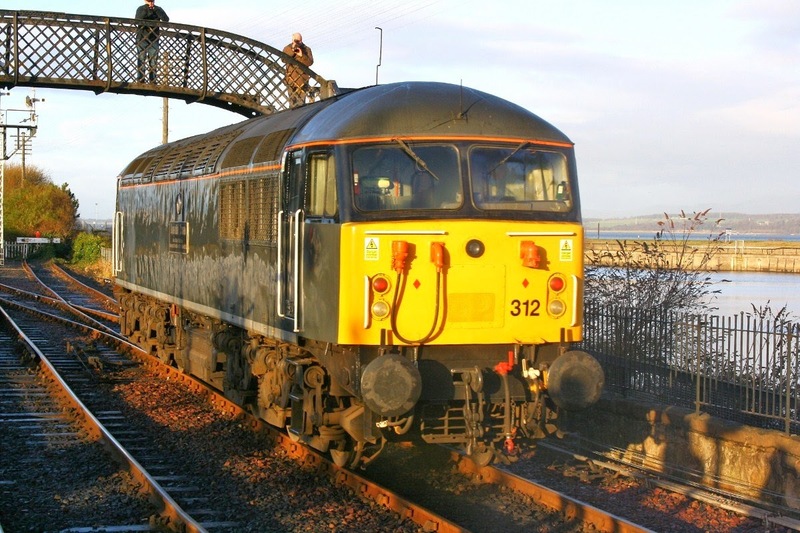 In East Lancs and NYMR service with Ian Riley in early 2004, then sold to West Coast in May that year, working on Royal Scotsman duties through 2005 as Loch Arkaig. Then onwards to DRS, working from late 2005 with some periods in store, including at Eastleigh. Overhauled, return to traffic February 2012. This is only its second railtour duty since sale to DRS. 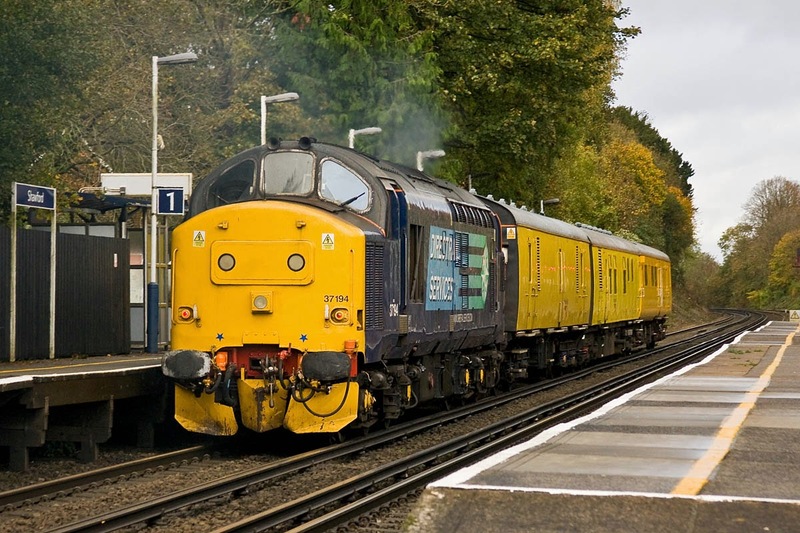 37261 had been run around at Salisbury, to provide top&tail for exit from Portsmouth Harbour. 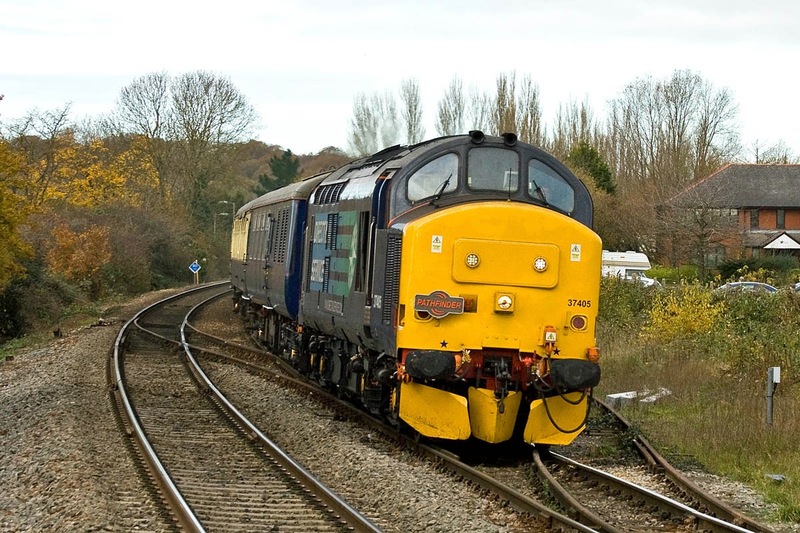 A few minutes earlier, Ian Knight captured 37405 leading the train at Dunbridge. 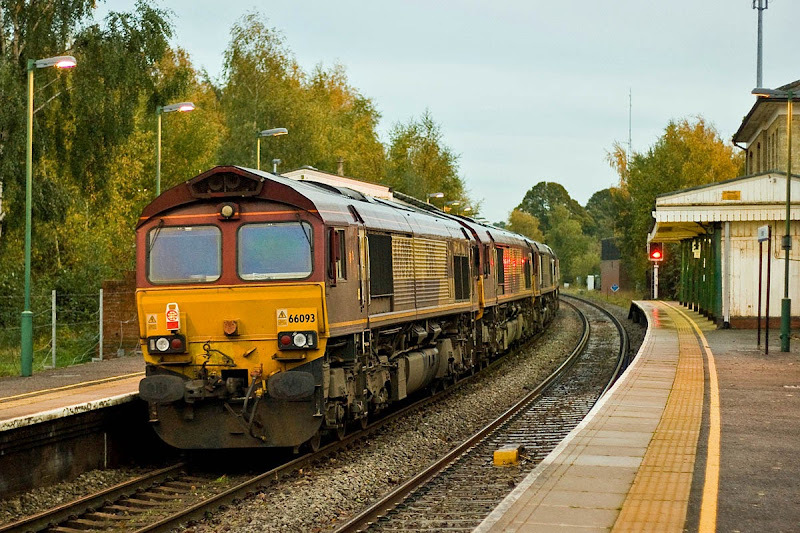 56303 + Railvac + 31190 6Z41 08:00 Doncaster Decoy to Totton. 56303 was new as 56125 from BREL Crewe in October 1983, and fell out of use in 1999, until revived for FastLine in 2006. 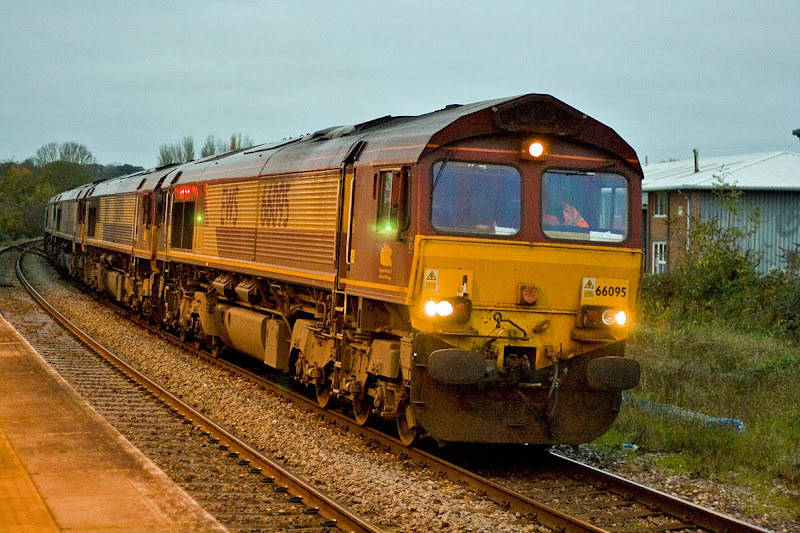 66850 David Maidment OBE 6Z31 20:12 Eastleigh - Westbury. 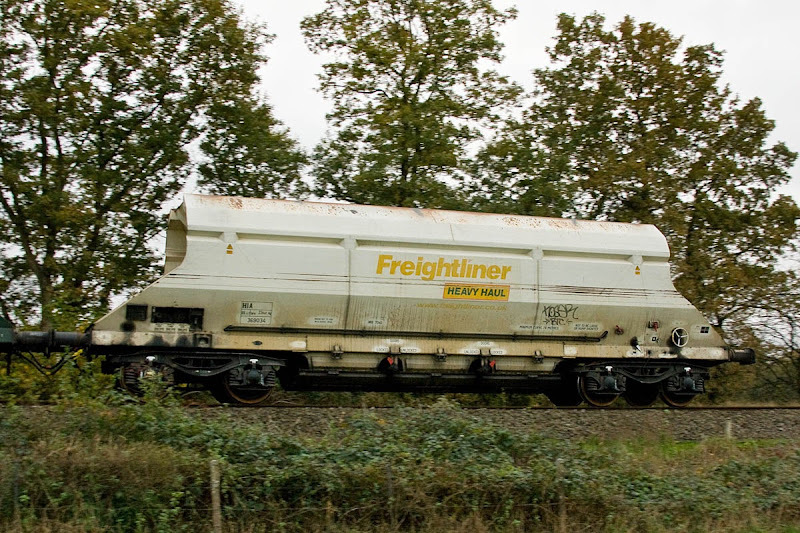 This locomotive was Freightliner 66577. 34067 Tangmere leads 1Z92 07:25 Weymouth - Waterloo through Redbridge. The headcode is not in the guide. A footplate crew member looks through the window on the curve. 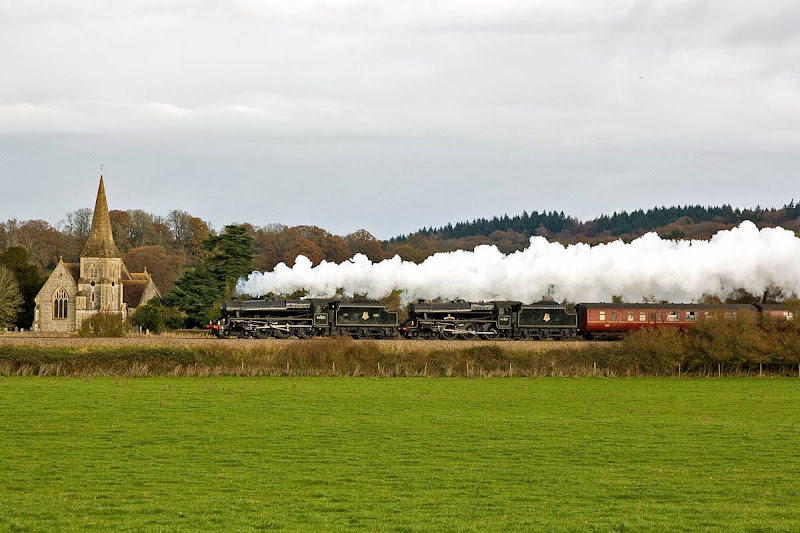 47580 County of Essex on the rear of the formation - rather sensible in light of the delay last year. 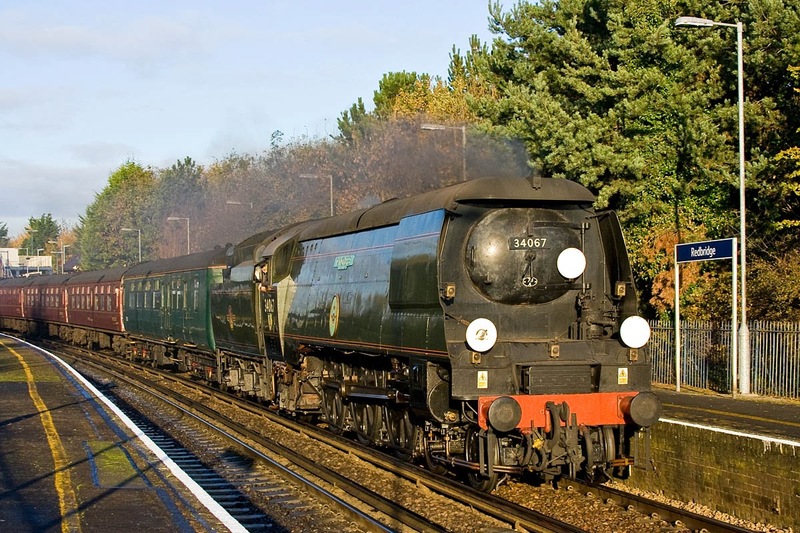 UPDATE: Tangmere got into difficulties about ¼ mile east of Winchfield on the return trip, with part of connecting rod reported coming apart from crosshead, and some damage to 3rd rail equipment. 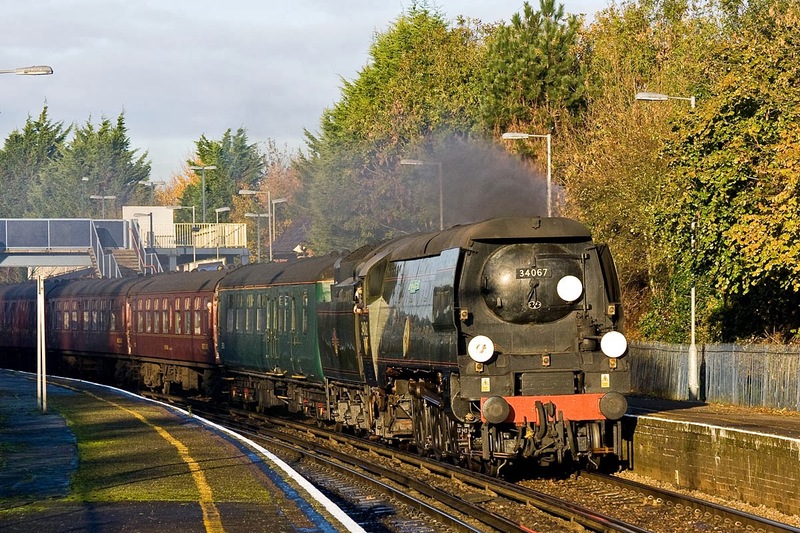 The train was terminated at Basingstoke some 200 minutes late, and 47580 took the steam locomotive and stock to Acton Lane Yard, for return to Southall. DRS colours remain on 66420, Maritime, 23rd November. Locomotive is out of service N120 - cylinder heads, gaskets and seals. 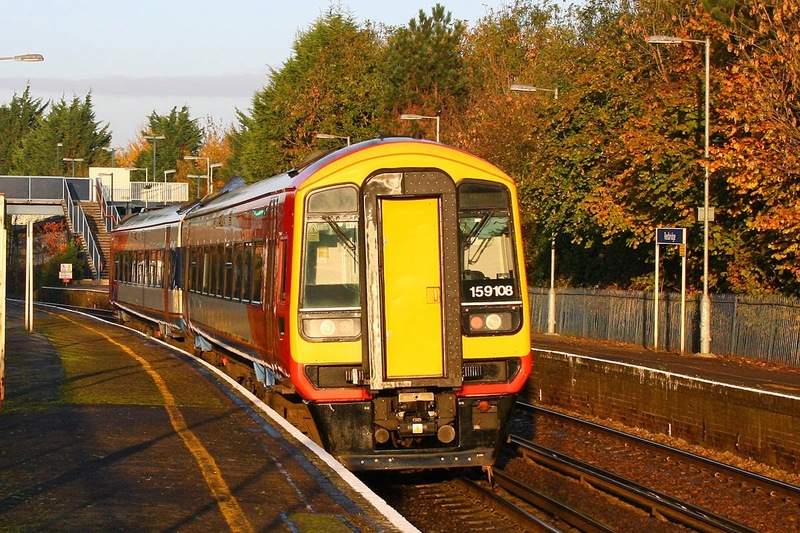 Temporarily reformed as a two-car, 159108 is on Salisbury - Southampton workings, 23rd November. RHTT duties for DR98927, working 3S84 duty from Eastleigh, here passing Redbridge while working Salisbury - Southampton. 66613 with 6O49 12:40 Theale - Wool sand empties, passing Crampmoor, between Romsey and Chandlers Ford. 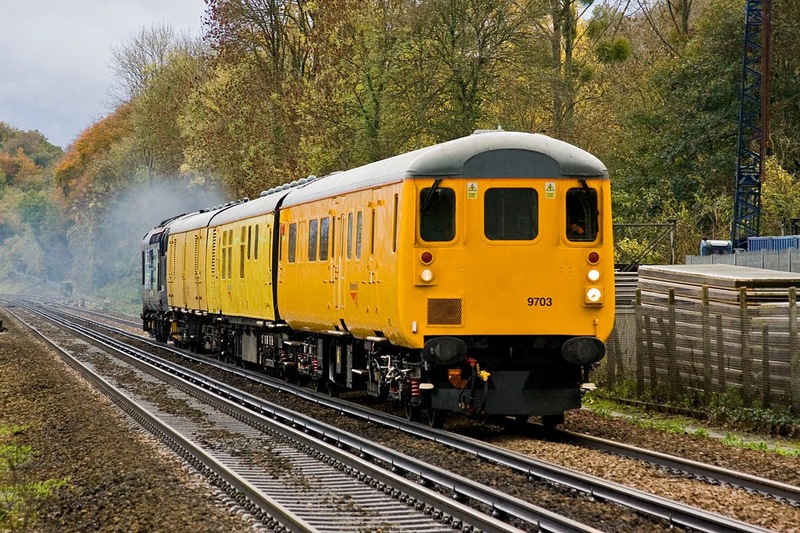 HIA 'Wagon of the Week' is 369034. the last in the formation. 66095 + 66099 + 66184 + 66110 + 66137 running through Romsey as 0X12 10:25 Margam - Eastleigh, with 10 locos to Westbury, then 5 as seen here. 66137 on the rear - it is noticeably darker than a week ago at the same time. Route today was via the booked route through Redbridge. 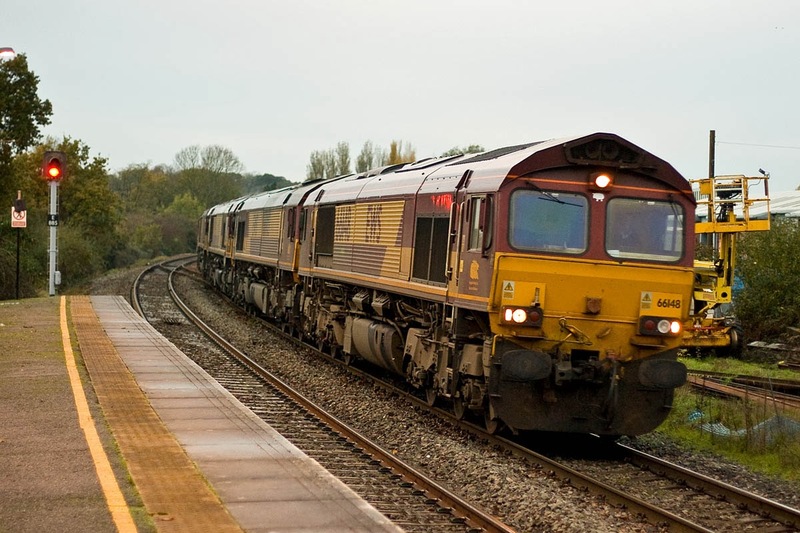 DRS Class 68 seen on test, how much longer for the DRS 47 fleet? 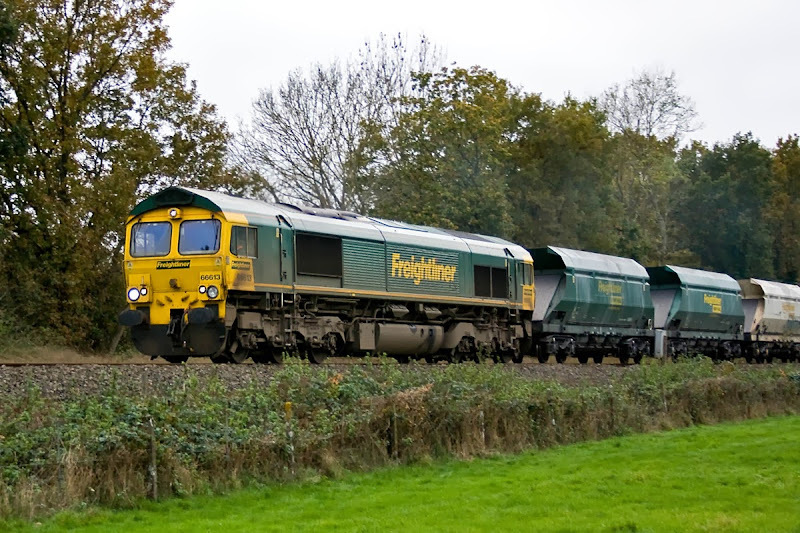 After seeing 37194 at Shawford, it was onwards to Romsey for three consecutive hours where freight and engineering related workings worked through the Romsey - Eastleigh single track section. 66957 Stephenson Locomotive Society with 6O49 12:40 Theale - Wool stopped at Romsey at 15:28 to pick up a dayglo clad railway person. 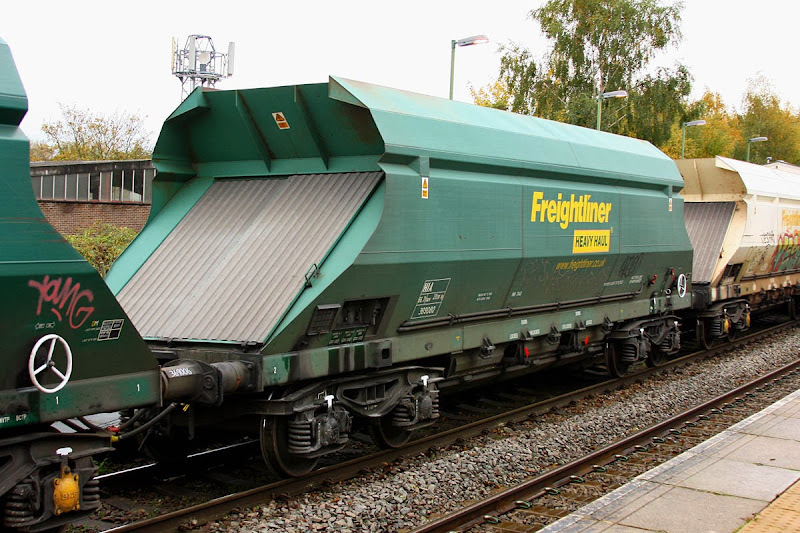 HIA "Wagon of the Week" is 369080, again much the same rake was running as in recent weeks. This convoy only started at Westbury, 15:23 to Eastleigh. 66148 + 66003 + 66094 + 66167 + 66093, passing at 16:25. 31190 + 31452 pass at 17:29 with 6Z00 11:03 Chaddesden - Totton, with the Railvac in tow. 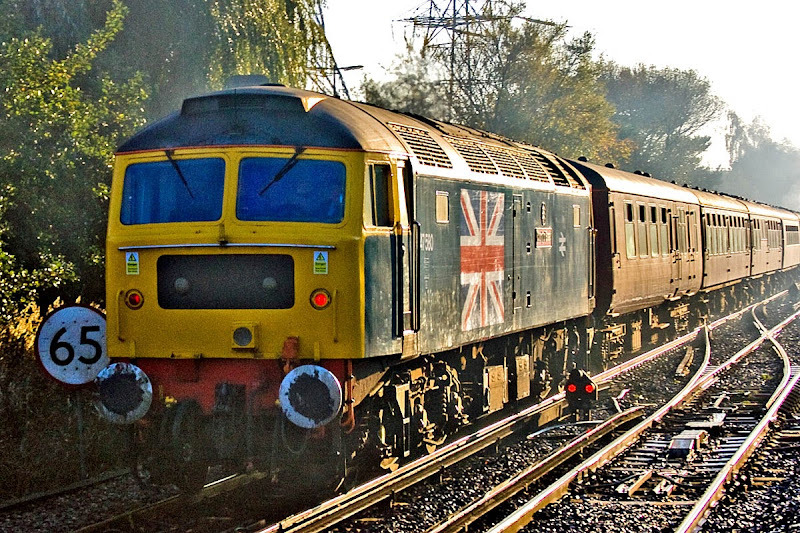 DBSO 9703 leads 3Z04 14:32 Eastleigh - Derby, running a few minutes earlier at Shawford. 37194 providing power on the rear of the train. 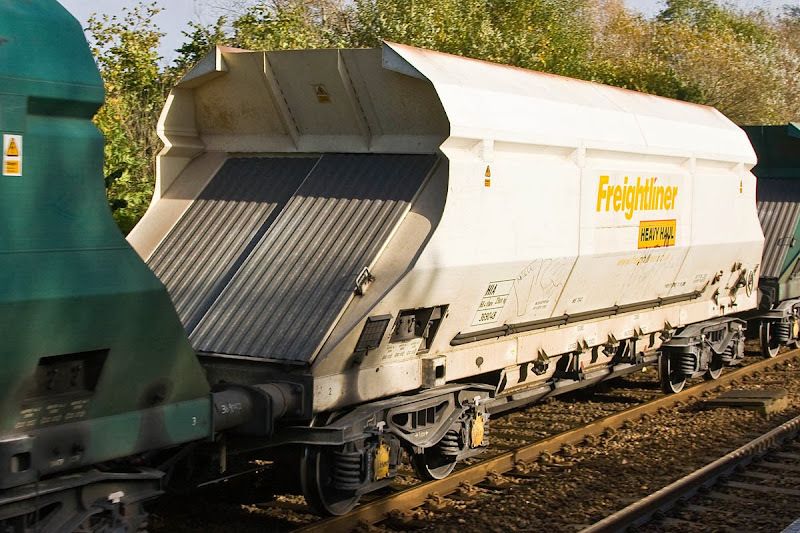 Earlier the train had worked back from Exeter, and I was woken up this morning by passing "tractor" noise. 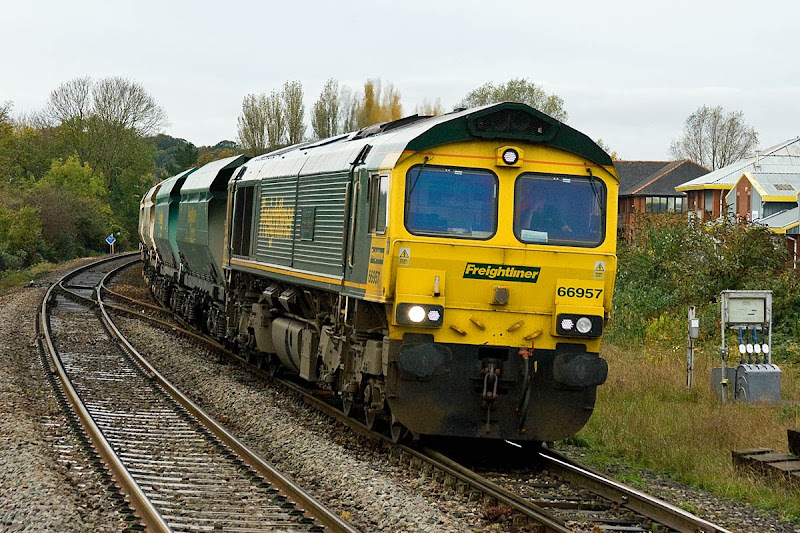 FLHH 66525 passing Dunbridge with the Theale to Wool sand empties. Yet another set of new platform lights here (actually from 2012) - it was tungsten lighting when I first went there. Running today as 6O49 10:23 Theale - Wool. Detail of white HIA 369048. In general, the set seems to be the same as a week ago. 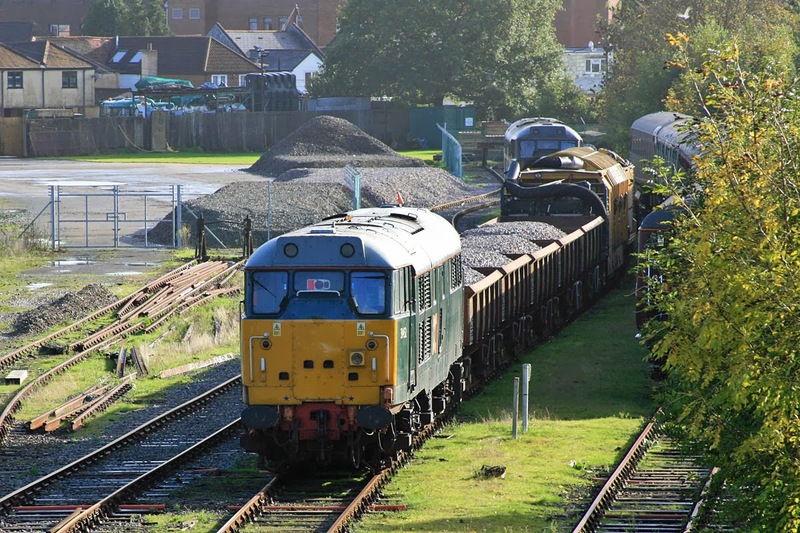 31452, with 31190 in the distance, with the Railvac at Totton, 27th October, having returned early from Botley via Fareham. 70020 is back to work, but earlier was reported failed on the Southampton - Wentloog, on Tuesday 29th, after only a few yards. It then returned to service on Garston workings, Wednesday 30th. 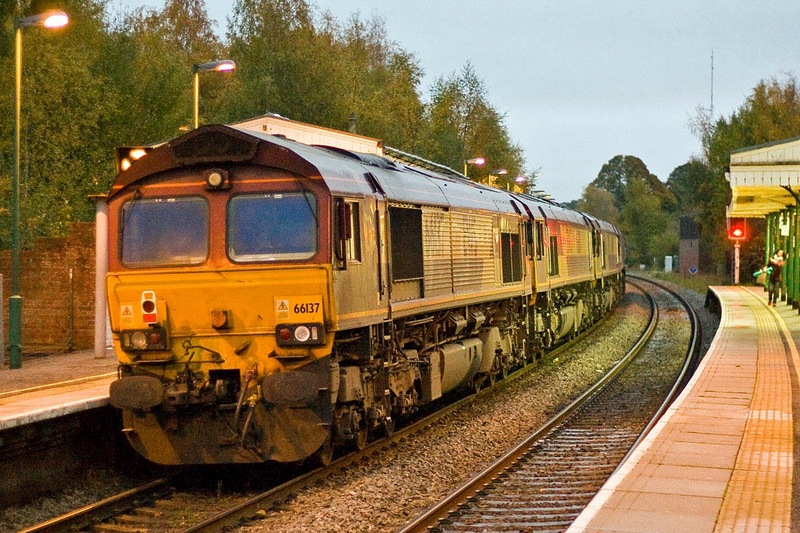 New photograph of 70801 (70099) at Canton. 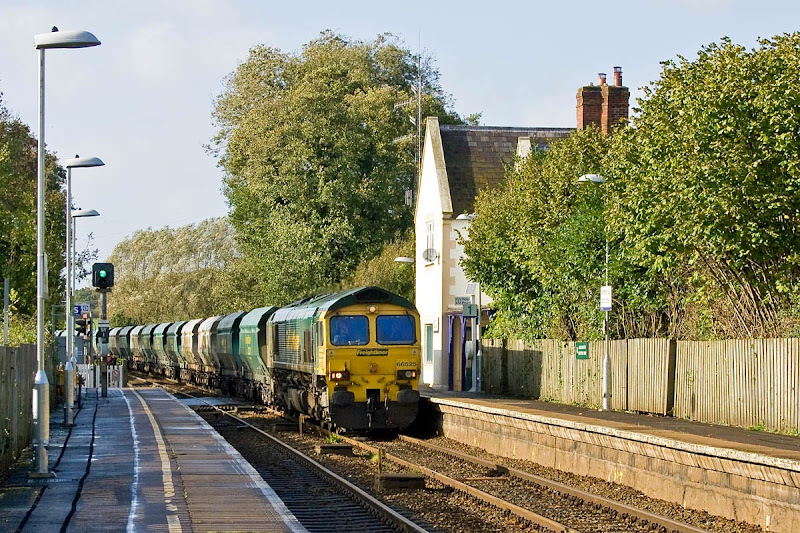 It was moved yesterday by 56094 to Landore. 34046 Braunton + 34007 Wadebridge with the Watercress Belle set at Ropley. 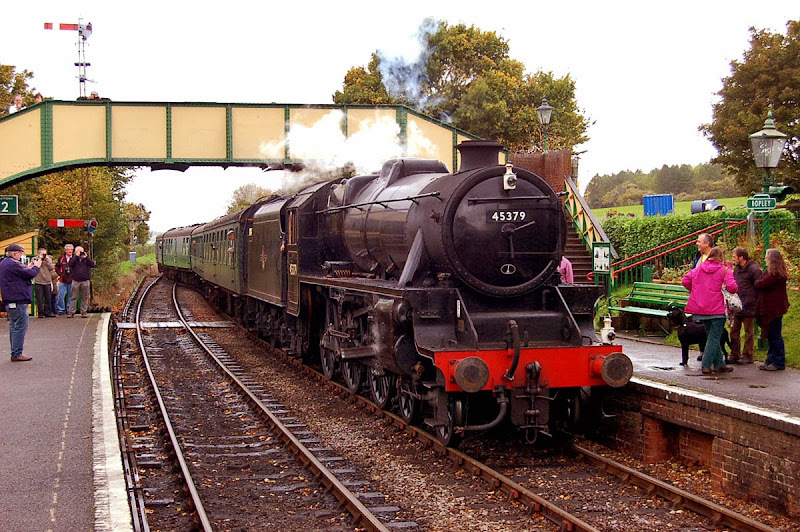 925 Cheltenham + 850 Lord Nelson arrive from Alton at Ropley. 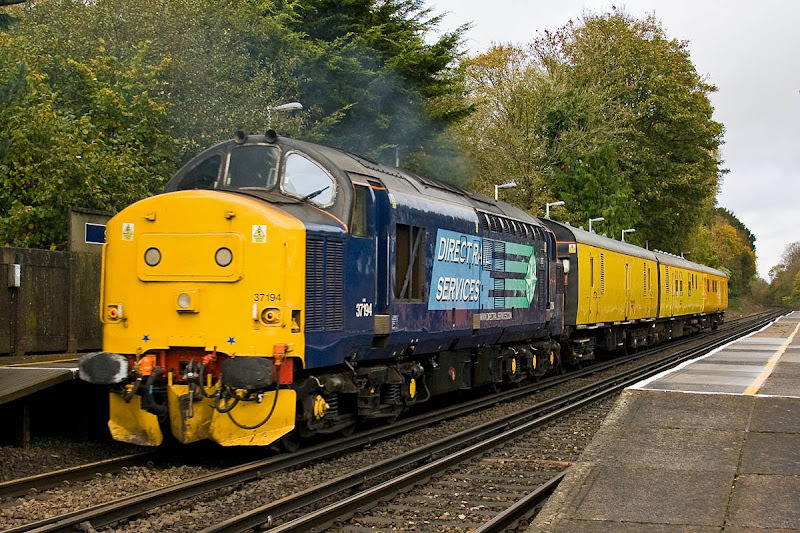 34007 with a freight at Ropley. 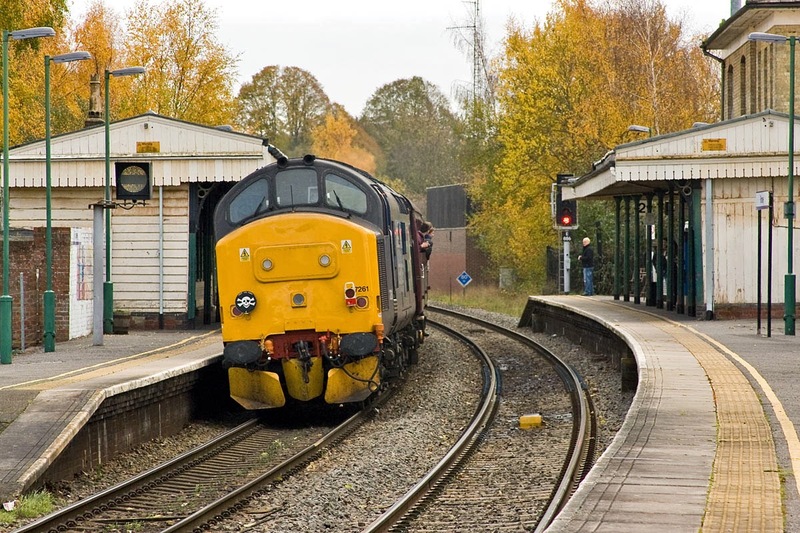 34046 running around at Alresford. 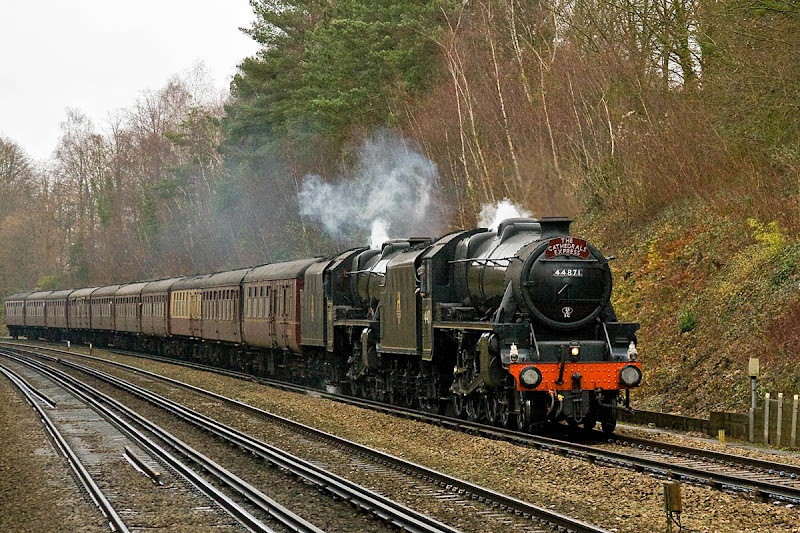 60163 Tornado departing from Alresford. Black 5 45379 arriving at Ropley.